There are in life certain things that one can always depend upon and one of them is any new Robby Valentine album. As with all of his previous releases, this is a real classy affair that is full to the brim with huge choruses, stacked vocals and elaborate arrangements. In the four years since his last release, 'Bizarro World', Robby Valentine has had to endure illness in which the majority of his sight was lost, which seemingly has pushed him on to greater musical heights. The album starts with the brief instrumental title track, and then 'Judgement Day', complete with its Michael Duffer "Let's Get Ready to Rumble" intro, kicks in and is a real call to arms which will be imprinted on your brain after the very first listen. Throughout the rest of the album we are treated to songs so diverse, ranging from the tender and quite beautiful paean to his daughter 'Eleanor Robyn', through to the cutting 'Soldiers Of Light', which is basically a two-fingered retort to the trappings of fame. This album is one that demands your attention throughout and the calibre of songs such as 'Black Dog', which is a free flowing, piano led number with once more a chorus to die for, and the compelling final number 'Remember Who You Are', which starts off slowly but very soon builds into a real anthem, are all truly sublime. The listener is treated to just about everything any discerning Melodic/Pomp Rock fan could wish for. Each and every track here has its own identity, but doesn't paradoxically stop or interfere with the flow of the album as nothing here smacks of filler. Robby Valentine handles pretty much everything himself, with a few exceptions, which makes this record all the more remarkable. Yes, there are of course his musical influences in there, Queen being the main one, but he's certainly not afraid to mix it up, and I can detect the likes of Muse and 30 Seconds To Mars buried deep too, but this is an album made very much in his own image... an uncompromising, brave and oh so confident record. For far too long Valentine has been known to only a select few, but I'm here to hopefully change that. 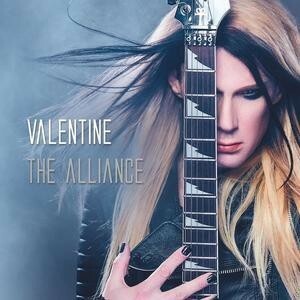 Please, do yourself a favour and check out the ridiculously talented Robby Valentine; you can thank me later!